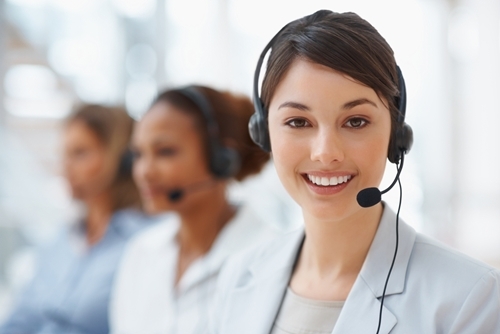 Mention customer service, and people generally think of those desks at brick-and-mortar stores where people go to voice complaints and return defective goods. It’s that or the idea that the customer is always right. The truth is, this aspect of a business can’t be boiled down to a catchphrase, nor is it relegated to the dealings of one desk. It’s an approach to a company’s affairs that starts from the moment customers hear about a brand and is inherent in all parts of a its dealings. Companies that want to improve their customer service should start by assessing their current standing with past customers and clients. Whether businesses have received excellent reviews or poor ones, they should then begin to find new ways of innovating their service sector. Everything from wait times to transparency can affect people’s view of an organization’s dealings. Everything from internal collaboration to promotional products can have a positive influence. Customer service can often feel like an uphill battle. Businesses that do their jobs well may not receive any positive feedback from customers, thereby demonstrating that no news may in fact be good news. But the dictum also holds true in the sense that the only word they may hear from a client are bad tidings. This is good that at least companies receive feedback about what they’re doing wrong, and can work to improve. Generally, it seems that plenty of them have similar pitfalls in this field. One major issue customers often have a problem with is a company that is difficult to talk to when something goes wrong. Whether it’s automated voice calls or endless bureaucratic forms, dodging customers and their complaints is a surefire way to upset people. However, that’s just the tip of the iceberg. Inc. Magazine has highlighted a number of the different ways in which businesses exhibit poor customer service. Long wait times and companies that are secretive about policies can also be frustrating. Customers generally also don’t like it when a business deflects responsibility to others or takes advantage of loop holes that absolve a company of its duties. Interestingly, the magazine also cited that doing just the bare minimum in terms of customer service is also frustrating for its clientele. Truly great companies, it seems, will go above and beyond the call of duty to please their clientele. Such demands may seem like a lot of undue responsibility and work is foisted upon suppliers, but the underlying principle is that people expect businesses to be fair-minded and sympathetic. Companies that exhibit such qualities may in turn generate strong customer followings, or at least positive reviews that may garner more clientele. Inc. Magazine highlighted organizations that managed to surprise and delight customers. Some enact a no-questions-asked return policy. Others take advantage of promotional giveaways to inject a little fun into their daily goings-on. The magazine even suggested that business-to-business companies give away services for a day to woo potential clients. Business 2 Community probably phrased it best when they wrote about the importance of not losing the “human touch.” That includes improving communications between corporations and customers and treating policies as a foundational principle of good interactions, not just a document for exploiting loopholes. The source even recommended the importance of improved communication within a business, specifically between marketing and IT departments. By streamlining relations between these two groups, organizations may be in a better position to respond to customer needs. Brands that are able to surpass customer expectations, whether it’s through generous return policies or the occasional surprise giveaway, may just be able to generate that positive buzz.